There's no need to wait; Vivian Leva's Time is Everything is the best album of the month of June—maybe the year. My goodness, what a gorgeous voice! Leva grew up with traditional music in the Blue Ridge of Virginia and she sings it with a purity that could make those old mountains weep. She and her musical partner, Riley Calcagno (banjo, mandolin, fiddle), demonstrate the innate and intuitive understanding that Appalachian, old-time, and country music don't need a lot of musical ornaments when a good song and a great voice collide. Let's talk about Ms. Leva's voice. The first song that grabbed and wouldn't let go was "Every Goodbye." It couldn't be simpler—just a bit of easy strum mandolin to frame it as Leva's voice hits each down stroke and lingers in the spaces in between. Yet somehow, if one morething were added, the spell would be broken. "Last of My Kind" is in the same vein—unpretentious music that speaks for itself. The catch in Leva's voice turns this into a weepy in the very best sense. You weep for the song's beauty, its fragility, and the utter perfection of the spare arrangement. And then there's the title track. 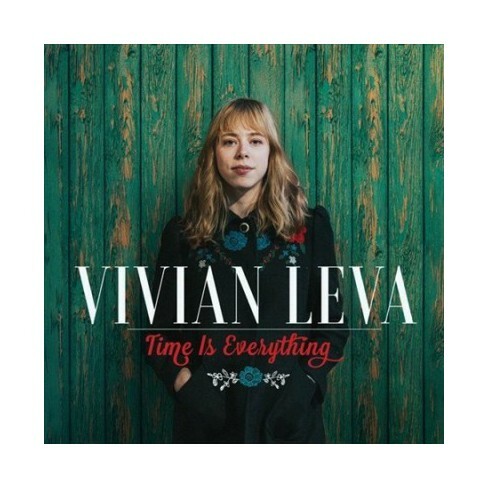 There's a little flat-picked guitar and then, if we tweaked Leva's twang to make it sound more Texan than Virginian, you'd swear you stumbled across an unknown Nanci Griffith song. The good news keeps on coming. Leva does retro country as well as she does neo-trad. "Bottom of the Glass" is honky-tonk at a slow gallop, "Wishes and Dreams" a gentle country waltz, and "Sturdy as the Land" has a bridge in which Leva's voice is almost like a meadowlark yodel. Rather have some bluegrass breakdown? Try "No Forever." "Here I Am" features piano notes that evoke an old standup. It's the sort of song that would have been an outro from the golden days of mountain music radio. Maybe this sounds like an oxymoron, but I'd label this album nouveau retro mountain/country music. Before signing off, let me give a shout out to Riley Calgano, a musician some may know from his time in The Onlies. He's a fine player and could have certainly put himself forward on this project. Instead, he honors the music and Ms. Leva's voice in ways that shape the song instead of spotlighting virtuosity. Anyone with the beyond ego self-control to respect the music earns mine. Calgano's backing is skillful, tasteful, and tune appropriate at all times. This is simply a marvelous record. Listen. Enjoy. Thrill. Weep.